← Shine a Light on Our Food System. Take Pics. Post. Win. We have a winner! 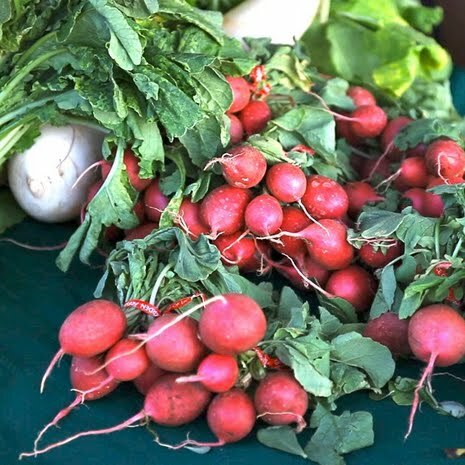 Congrats to Shirley Thompson of Hawaii for her radishes photo documenting the Kaka‘ako Makai Community Cultural Marketplace. Shirley’s photo was the top photo of those posted on the site yesterday, Food Day 2011. Since launch in April 2010, there have been 25,000+ photos submitted to the site. Cheers to everyone who brings Real Time Farms to life! This entry was posted in Aw Snaps! (our best photos) and tagged food day, food transparency, hawaii food, Kaka‘ako Makai Community Cultural Marketplace, Real Time Farms, Shirley Thompson. Bookmark the permalink.